Welcome to Reader Girls. Where we live in New York it's cold and gray out. What better way to spend a day like this than with a book, right? I recently read this story and all I will say is Echo Shea's story is dark and engrossing. I'm thrilled to be a part of this tour and to be able to help spread the word about my fellow Roane Publishing author(s). 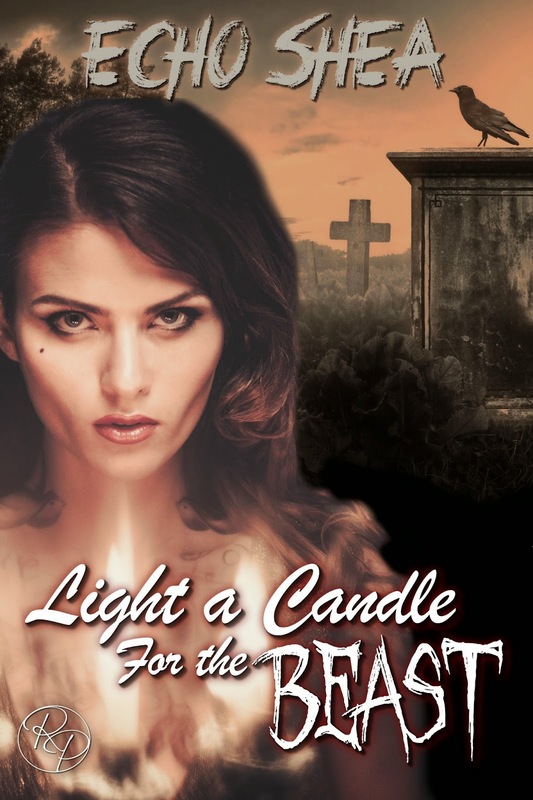 Enjoy our stop on the Light a Candle for the Beast blog tour! Delia was beautiful, smart, and kind. He wasn’t. He said he loved her, but he didn’t know what love was. He was manipulative and cruel -- more than a thief. A beast. Why do you like to write paranormal and fantasy? I don’t know. I’ve been encouraged not to write fantasy at all. I’ve been given those looks—the ones you get when you open up chicken that’s been in the refrigerator awhile or when you see a spider on your door handle and you know there’s no way you’re going to be touching that—when I tell most people about my work. I can only blame the authors that hooked me—Charlaine Harris, Dawn Cook/Kim Harrison, Rachel Caine, Tamora Pierce, and more. They created strong heroines that made me daydream and feel powerful and driven, and I always wanted to write stories that gave someone else that feeling. I fell in love with the genre—there’s something about being completely involved with characters that can have a moment of anger and draw lightning from the sky, or be this incredibly powerful person that completely breaks the rules and the mold and makes people rethink what really should be. Maybe it’s the power of strong characters? The thrill of following a storyline you can just not put down? Maybe it’s just as a writer being able to say that when your character did something, it truly moved earth, heaven, and sky, and now she has to find a way out of this mess. I can’t say why I like writing fantasy. I’m addicted, in love, enthralled… Whatever it is, I can’t imagine my life without it. I wouldn’t have this book or be on this blog, and I certainly wouldn’t be having as much fun as I am right now. I don’t just like writing fantasy—I love it. There is a tour-wide giveaway on one $10 Amazon Gift Card and one ecopy of Light a Candle for the Beast. Enter below. Thank you, Echo! We loved having you here today.